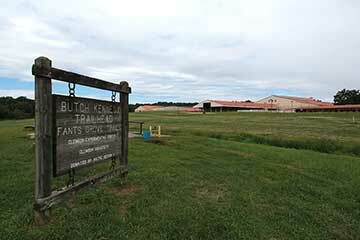 During the Great Depression, thousands of acres of Upstate farmland, worn out and eroded from years of cotton farming, were rescued by a "New Deal" program. Eight decades later, careful stewardship of this public resource by Clemson University and the DNR has yielded a scientific and recreational bonanza for Palmetto State citizens. New York's Central Park is world famous, yet is comprised of a mere 843 acres. Although the Clemson Experimental Forest is more than twenty times that size, many South Carolinians have never heard of it. Perhaps a snappier name would help. The Clemson Coppice, maybe? The Upstate Wildwood? Except those tags don't entirely reflect the CEF's wide-ranging mission. Part of the charge is to provide recreational opportunities to the public, but another equally important aspect involves education and research: of university students, foresters, landowners, researchers from other institutions, and other groups. Also, since no admission is charged for access to this unique resource, the forest must support itself. As such, some of its trees are harvested each year - about two million board feet, according to CEF Forest Manager Knight Cox. These annual timber sales are just one element of a detailed management plan that provides for research, recreation, wildlife management, hunting, fishing, and protection of cultural resources, in addition to sustainable timber harvests. So how did Clemson University and the citizens of South Carolina come to own this marvel of natural biodiversity? The land that comprises the forest was part of a Great Depression-era program authorized by the "Bankhead Jones Farm Tenant Act" the purchase of thousands of acres of worn out farmland around Clemson to be rehabilitated and returned to productive use for forestry and wildlife management purposes. The land was deeded to Clemson College in 1954. Part of that contract, as defined by Public Law 84-237, reads that the land "shall be used for public purposes," and "shall revert back" to the United States government if any part of the land is sold. The law also specifies that the property is not to be used "to build industrial parks or establish private industrial or commercial enterprises." As a result of the wording of the law, Cox believes that the forest is safe from sale and development, at least for now. In the past, the University's Board of Trustees has voiced interest in the possibility of selling parts of the forest, and Cox points out that "all it would take is a congressman to introduce a bill" to alter the protections outlined in the original agreement. Meanwhile, Cox and his crew of foresters, equipment operators and mechanics take good care of the land they steward. 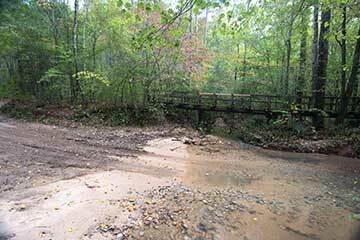 "We try to have the forest in a well-managed condition so we can demonstrate good management practices, and the students can learn from that," he explains. 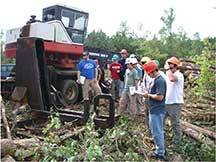 Clemson's nationally recognized academic programs in forestry, natural resources management and environmental science attract hundreds of undergraduate and graduate students each year. "We also have a research component so we can work with researchers at the university and other institutions." 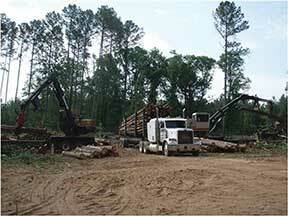 Part of the management job includes the aforementioned timber harvesting, which is done sustainably. In fact, the forest is part of the Sustainable Forestry Initiative and a member of the Tree Farming Program, says Cox. In order to achieve SFI certification, a managed forest must meet a list of criteria put forth by the American Public Pulp and Paper Institute. An independent audit is performed, involving "a fair amount of money and lots of paperwork." However, the benefit is "a public assurance of sustainability," he adds, which in the CEF's case began in the late '60s. "We were sustainable before it was in vogue!" Cox says with a chuckle. Sustainability certification certainly is in the spirit of the Bankhead-Jones Act's mission "to correct maladjustments in land use, and thus assist in controlling soil erosion, reforestation, preserving natural resources, protecting fish and wildlife, developing and protecting recreational facilities... and protecting the public lands, health, safety and welfare." In a fine demonstration of "protecting the public lands," the CEF recently contributed to an important national concern when it was included in the Fire and Fire Surrogate Study, funded by the U.S. Forest Service. One of thirteen sites selected from across the country, the forest was subjected to prescribed burns over a five-year period; the purpose was to address the fact that forests have become denser, creating higher risk of uncontrollable wildfires, over the last century. 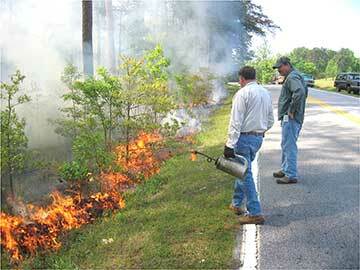 Recent wildfires in the West underscore the seriousness and cost of this problem. The objective of the study, supported by a $5 million dollar grant, was to examine the effectiveness of "fire surrogates," such as cuttings and mechanical fuel treatment, as substitutes for fire. Fire plays an important role in the restoration of forests by creating open spaces for future growth; in fact, foresters often deliberately set fires, called prescribed burns, to accelerate the process. The CEF comprises "one of the largest unfragmented areas of piedmont land remaining in South Carolina," according to the "Natural Resource Area Inventory and Guidelines," prepared by the university's Office of Land Management in 2008 [the full report can be found at http://www.clemson.edu/public/experimental-forest]. Within the forest are one-hundred miles of hiking/biking/horseback riding trails, two-hundred miles of streams, ten waterfalls, two-hundred acres of wetlands, 225 miles of roads and the one-hundred-acre Lake Issaqueena [see "Out Scoutin' Lake Issaqueena at Clemson's Experimental Forest" in the November-December 2014 issue of SCW]. 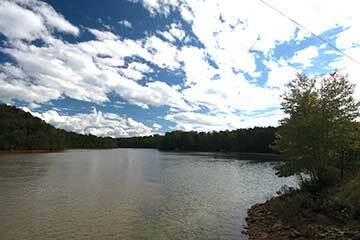 More than one-hundred miles of the CEF hugs the shores of Lake Hartwell. Flora and fauna flourish here. Of the 170 species of birds commonly found in the forest, twelve are "species of special concern," meaning they have specialized habitat requirements or are otherwise at risk. 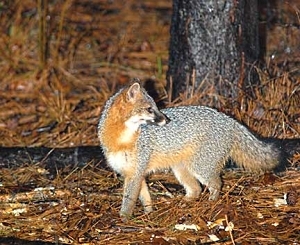 Fifty species of mammals reside in the forest, including bobcats, bears, otters, red and gray foxes, beavers and minks - not to mention the various small- and large-game species that the hunters who utilize the DNR-managed Fant's Grove and Keowee Wildlife Management Areas that are also a part of the forest enjoy chasing. 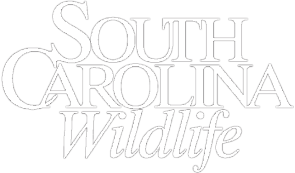 Many of South Carolina's official state plant and animal symbols are also found here, including the Carolina wren, the spotted salamander, the Carolina wolf spider, the wild turkey, the Carolina jessamine, the white-tailed deer, the Carolina mantis, the Eastern tiger swallowtail butterfly, Indian grass and goldenrod. An additional sixty-five species of amphibians and reptiles make the CEF their home, including colonies of the green tree frog and the squirrel tree frog, more than a hundred miles from their nearest other populations, and the southernmost-known population of the wood frog. 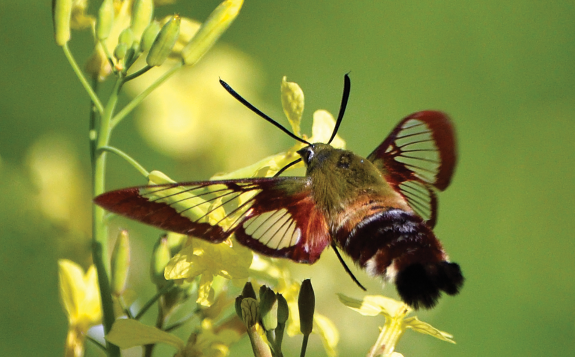 Twenty-five fish species may be found here, and ten insects new to science have been discovered in the forest, buzzing in and about the fifty-four species of trees, fifty shrubs, seventeen vines, eight orchids and numerous wildflowers. Unfortunately, the prolific and pernicious, non-native feral hog has recently been added to the inventory. Wild hogs not only destroy fragile habitat and agricultural plots, they also consume plants and other wildlife, some of them rare. However, notes Cox, the DNR is working with Clemson University wildlife biologists to address the feral hog problem. The inventory refers to the forest as "a mosaic" of habitats - and that's a pretty apt description. The CEF's natural resource areas are varied and include ecotones, transitional areas between forested and agricultural land; stream and lake buffers, which help protect water quality; mixed successional habitats representing various stages of tree and plant growth; agricultural lands; intensive habitat management areas; notable resource locations; and special natural resource and management areas. These divisions are based on topography, watersheds, botany and wildlife. 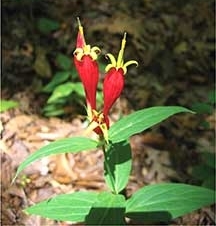 According to the inventory, the forest's diverse habitats include: expansive, contiguous tracts of mixed successional piedmont woodlands; mature and diverse hardwood forests; dry upland oak communities; scenic streams, bogs, woodland seepages and extensive wetlands, some of which include beaver dams; ridges, slopes and ravines on which can be found flora normally found in mountainous areas; large areas of wildflowers and other diverse botanical features, including plant types unique to waterfalls; and wildlife habitats described as "diverse and outstanding." 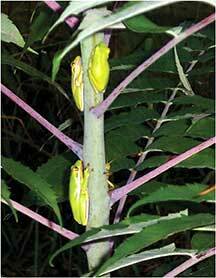 The forest also provides a wide variety of opportunities for recreational use. According to a 2000 study, The CEF Adaptive Trail Management Plan, the forest experiences 25,000 to 30,000 person-hours annually, attributed for the most part to horseback riders and mountain bikers. 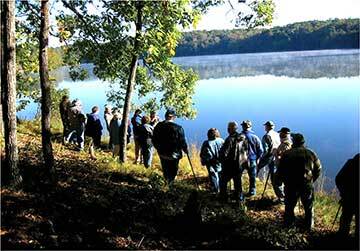 Trails are found in three primary areas: Fant's Grove, which is located close to the T. Ed Garrison Arena and is made up of about forty miles; Todd's Creek, about eighteen miles; and Issaqueena, which has about forty-seven miles, some of which curve around the lake. 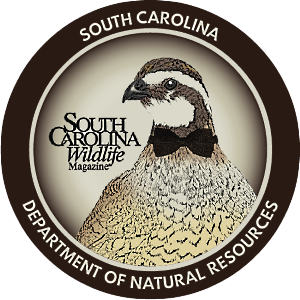 Hunting is allowed in parts of the Fant's Grove and Keowee Wildlife Management Areas [see the current edition of South Carolina Hunting & Fishing, the DNR's official state regulation guide for specific seasons, bag limits, special draw-only hunt regulations and other information. Non-hunting visitors to these areas should also be aware of the schedule and heed signs posting that hunting is allowed or in progress. 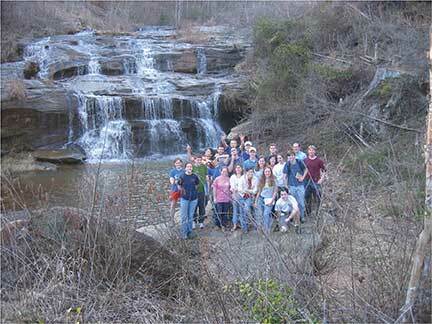 Of course, Clemson University students and faculty also make use of the forest's many resources. More than thirty classes use it each year, and scholarly research conducted in the CEF appears annually in more than four-hundred publications on topics such as the effects of fire, pests, bacteria, erosion, nutrients, herbicides, runoff and sediment; as well as studies on deer, rabbits, ducks, bats, beavers, songbirds, squirrels, shrews, amphibians, reptiles, fish, spiders and aquatic insects. The CEF is also a valuable resource for private landowners, according to Cox, who leads landowner tours of the forest. "Our activities help forest landowners have a better understanding of forest management practices," he says, helping them implement ways to protect wood, water and wildlife on their own properties. 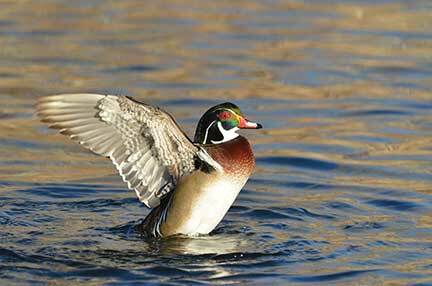 If someone wants to see a specific type of habitat, say the best type for bird watching or for turkey hunting, "We can show them." he adds. Cox encourages people to visit the forest because, he says, "That's the best way to ensure continued support." To find out more about this unique resource, visit the CEF pages on the university's website at http://www.clemson.edu/public/experimental-forest/. There you'll find links to maps of the trails, management plans, natural and cultural resource inventories and other information. 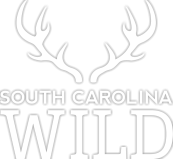 Pendleton-based freelance writer Laura Ann Garren is a frequent contributor to South Carolina Wildlife.